strawberries Archives - MOMables® - Good Food. Plan on it! strawberries Archives - MOMables® - Good Food. Plan on it! Put a twist on a classic cookie by using white chocolate! 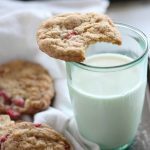 These Strawberry White Chocolate Chip Cookies are a kid favorite & a great treat for lunch boxes. Who doesn’t love a classic chocolate chip cookie? As a chocolate fanatic, I love to make chocolate chip cookies with my kids as a special treat. 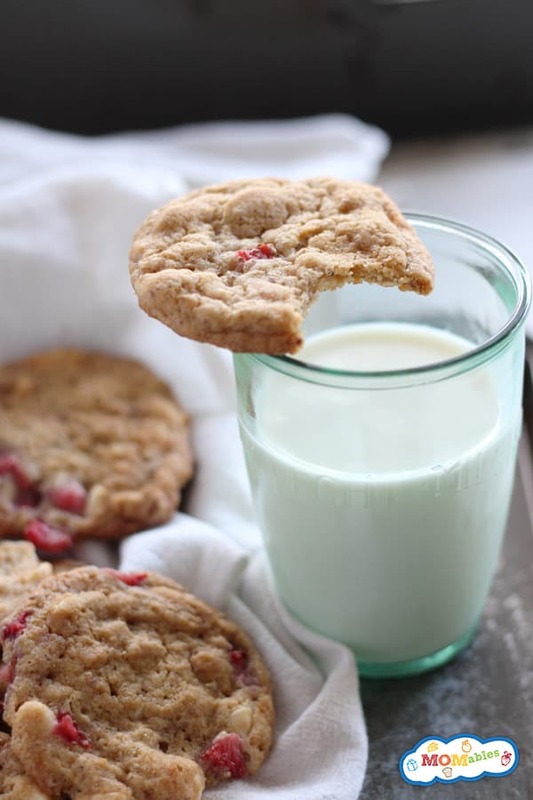 But one day, I wanted to create something a little different – these Strawberry White Chocolate Chip Cookies were born! My kids love when I sneak one of these cookies into their lunch boxes on special occasions. Since you’re using white chocolate chips, they won’t stain their clothes! Now that’s a win for me. 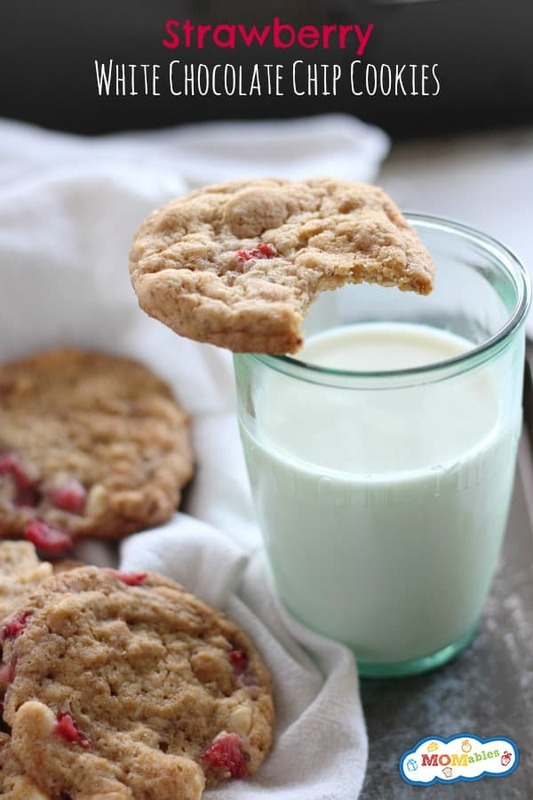 The natural sweetness of the strawberries really makes this cookie unique, and you get a little dose of nutrition! So, that means I can have five, right? ;) Strawberry and chocolate is a match made in heaven if you ask me. You’ll love this combo! These white chocolate chip cookies are perfect for weekend baking with the kids. Get them to mix the ingredients in the bowl and form the cookie dough balls! I love when my kids help me out in the kitchen because it’s our special time together. Plus, we all get cookies after so everyone is happy! 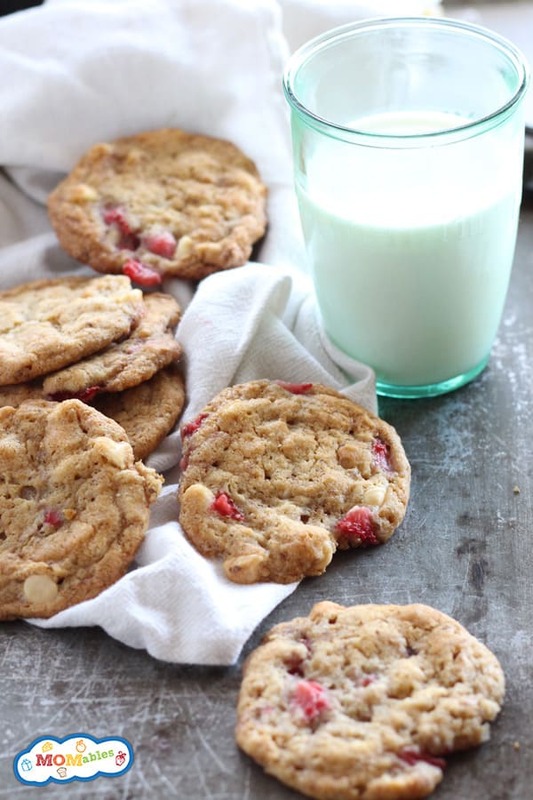 I hope you love these Strawberry White Chocolate Chip Cookies as much as we do. 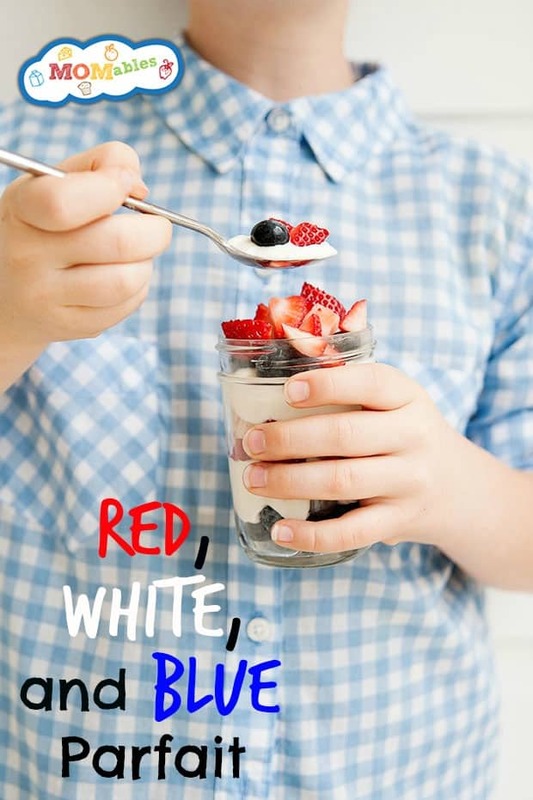 If you make them, snap a picture and post it on Instagram with #MOMables. We could repost your pic! Happy baking! Gradually beat in flour mixture. Stir in chocolate chips and strawberries. Drop by rounded tablespoon onto ungreased baking sheets.